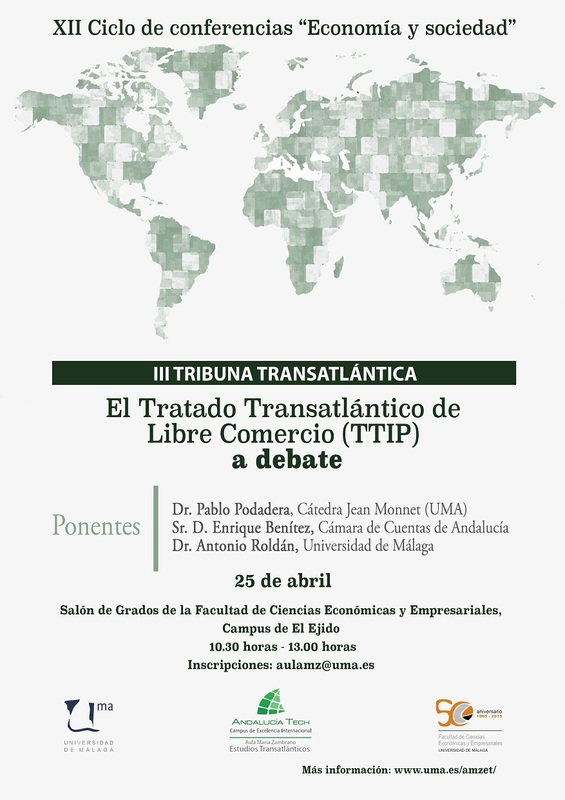 The Aula María Zambrano of Transatlantic Studies UMA - ATECH and the Faculty of Economics and Business have organized the 3rd Transatlantic Tribune, dedicated to the analysis of the Transatlantic Trade and Investment Partnership (TTIP) and held on April 25, 2016 in the "Salon de Grados" of the Faculty of Economics and Business. 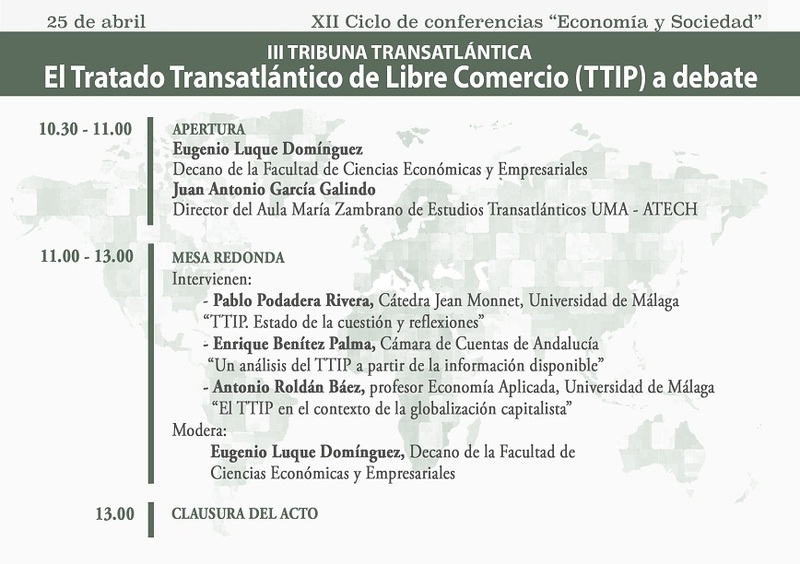 This time, the Tribune takes part in the XII Cycle of conferences "Economy and Society" of this Faculty. 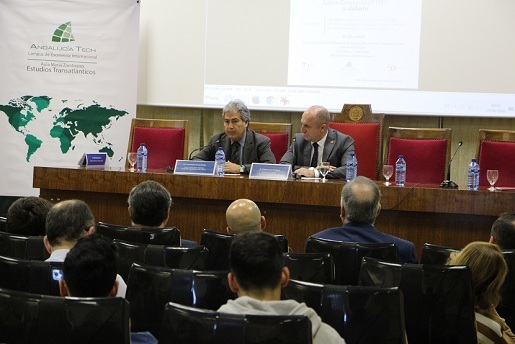 The event was opened by Eugenio Luque Domínguez, dean of the Faculty, and Juan Antonio García Galindo, director of the Aula María Zambrano. They have emphasized the importance of organizing a Tribune dedicated to the Transatlantic Trade and Investment Partnership because of its undeniable current and the controversy caused by this measure. 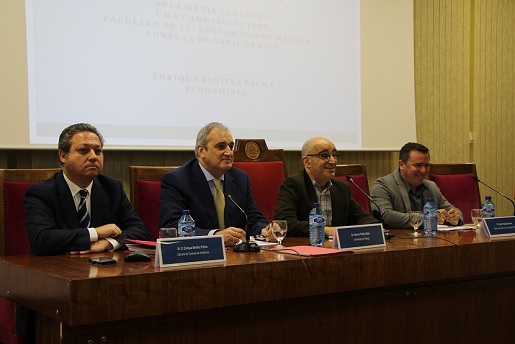 The Tribune, moderated by José Benítez, secretary of the Faculty of Economic and Business Sciences, was inaugurated by the Professor of Applied Economics at the University of Málaga, Antonio Roldán Báez, who explained the context of TTIP in capitalist globalization. 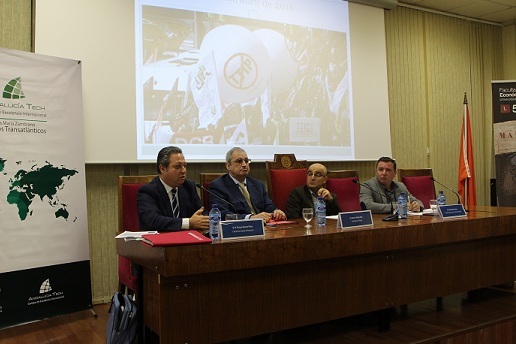 Enrique Benítez Palma, economist, advisor to the Andalusian Chamber of Commerce and former parliamentarian of Andalusia, has outlined the TTIP according to the information and references of international organizations, dismantling the arguments of defenders and detractors alike. 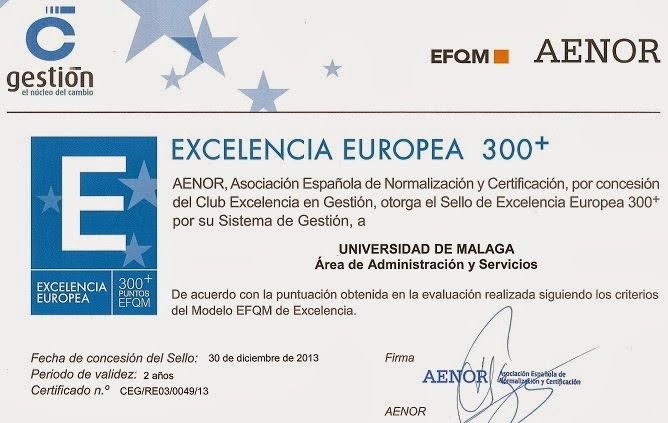 Pablo Podadera, Jean Monnet Chair of European Economics at the University of Malaga, has shown the growth figurea that could derive in a treaty like the TTIP to the member countries. Then, the attendees have held a debate where they have demonstrated the controversial nature of the TTIP and the considerable difference of opinion on this issue. /cms/secciones/ajax/insertar_seccion/ /cms/secciones/ajax/borrar_seccion/ /cms/secciones/ajax/editar_seccion/ /cms/secciones/ajax/mover_seccion/ Are you sure you want to delete this section? 98354 You are about to cancel the edition. All your changes will be lost. Do you want to cancel and lost your changes?